we figure out the correct sequence in this one we can get the keys. Can someone check this theory. Scrape this this is incorrect. It's based on mac but I need to find the correct calculation. Three routers use the same method maybe it will work on this one. thanks for your efforts and the link. I have already checked all the algorithms I am aware of and this one stands alone. There is little to nothing available openly online. The Sky Hub 1/2 and then the Sky Q were the first routers carrying the BSkyB MAC OUI. there about those algorithms, but none of them help with these new BSkyB routers. We are breaking new ground here. dunno, if it's worth, to collect these, maybe we should try to find only new data including mac?! Good information on this image but the quality is bad. This model of routers has an autoupdate firmware system, there is no place to find the standalone firmware updates to download and reverse them. So we collect as much as we can of these keys to understand how they've been generated, we try to find a pattern to how those keys being generated, and thanks for the key. Lol! that was me and blandyuk who found it. That pattern isn't that complex it's easy to find, the problem is with the nine upper alphas that left to us to find out how they've been generated which is hard at the moment. But thanks to soxrox2212 for keeping the list updated. Go back to https://forum.hashkiller.co.uk/topic-view.aspx?t=2715&m=122775#122775 for more information. Why this no say on GitHub? I have exported 836 SKYXXXXX hashes from Darkircop for my research and I was just wonder. Is it normal to different SSIDs and BSSIDs have the same anonce, snonce, Key MIC and eapol? So, maybe is it a bug? PS. : 374 hccaps are the same. 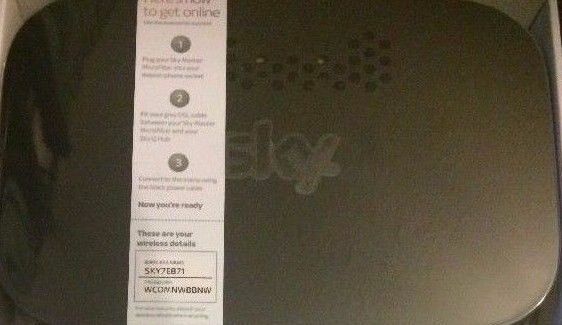 @jHi6az3HB are those for Sky Q or SKY Hub? Sorry if i have posted in the wrong place. I think no. They are old hashes.